General processing failures and human error can lead to overwhelming amounts of inventory loss. Can you count on reliable data and personnel to ensure the highest quality and treatment of all goods circulating through your facility? Are your expectations in alignment with your resources? Accurate data regarding inventory volume and throughput. Forecasting of future demand and unforeseen changes in market tendencies. Efficient equipment which is appropriate for inventory and order profiles. Do you have control of your inventory loss? Whether you are depending upon manual labor or cutting-edge WMS software, knowing exactly what you have and where you have it is essential to ensuring streamlined processing of all materials and gaining the highest level of customer satisfaction. If you can’t guarantee the visibility (physically or digitally) of your inventory, how can you be expected to protect it and ensure its safety, quality and proper handling? There are specific systems that can help improve the most complex processes within the warehouse. For instance, this is the case of the Idaho State Liquor Division (ISLD). The installation of high-density storage racks as well as AS/RS systems removed the need for handling products manually. Not only did they make the internal organization of the workforce easier, but also reduced the error percentage registered thanks to the assistance of our warehouse management system, EASY. 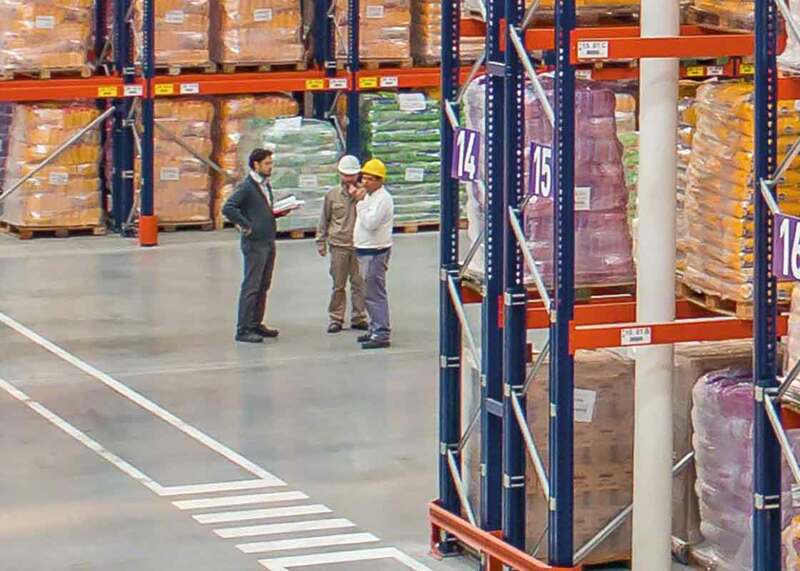 Accurate and reliable data regarding the location and status of all goods is paramount and requires extremely advanced levels of organization and real-time communication during each phase of order preparation procedures. Do not underestimate the insight of your teams and be sure to jump at opportunities to provide them with incentives to be proactive in the overall success of the company. Engage staff to be eager in seeking solutions and take advantage of their unique insight to identify weak points in day to day procedures which have extreme potential for improvement. Their hands-on experience with protocols and materials can prove to be instrumental in pinpointing techniques which may be vulnerable to mishaps and unexpected errors. Finally, don’t underestimate the impact of strong and charismatic leaders. Distribution managers can prove to be invaluable in spotting vulnerable processes which have extreme potential for improvement and optimization. Can you count on current systems and data analysis? Often times storage and picking systems may be susceptible to unforeseen errors that are hidden in plain sight. Consequently, we mistakenly overlook justifiable optimizations which could directly impact profitability. It is important to routinely take a step back and analyze current installations and consider economically reasonable options for improvement. Have you analyzed the impact of the following? Tools for recompilation of results. Be curious and open-minded to strategies which may force you to think out of the box. Failures provide us with the opportunity for perfection. By actively seeking out points of vulnerability in current order fulfillment processes, we open the door to possible solutions which we previously may not have been able to conceive.